Next time you are in the Maud Marks Library be sure to look around for the I SPY posters. See how many of the items on the posters you can spy. The library also has I Spy books to check out for more fun. Click on the link to access our catalog and see which ones are available. And, maybe you might decide to make a poster of your own at home. Cut out pictures from old magazines and create a masterpiece. Ask your family or friends to spy and see how much fun y'all can have looking for all the interesting items. Master Gardeners of Harris County will be at the Maud Marks Library sharing their Green Thumb Gardening Series on fall vegetable gardening in the Houston/Katy area. What a great way to save money on vegetables, and be able to share in your bounty. The class is scheduled for Sat., Aug. 18, 2018, from 10:30-12:30 pm. Please click on the link to register. Spaces fill up quickly. Join us at the Maud Marks Library for a Family Movie on Friday, July 27, 2018, at 1:00 pm. We will have a fun time watching Disney's Winnie the Pooh, and eating free popcorn at 1815 Westgreen Blvd., Katy, TX 77450. No registration is necessary. The staff of the Maud Marks Harris County Public Library would like to invite you to our 25th Anniversary Celebration being held on Saturday, July 21, 2018, from 1-4 pm. We will begin with an opening ceremony in the meeting room with guest speakers, and learn how the library was built back in 1993, on ranch land owned by the Marks' family. The family still rides in the Rodeo Parade every year and will bring their Salt Grass wagon for all to see. Yee-haw! Mother Goose will be here as well as a magician. There will be games and crafts, music and square dancing. Don't miss it! Let's celebrate America's 242nd birthday with a concert at the Maud Marks Library at 2 pm on Tuesday, July 3, 2018. Rainey Weber and her string quartet will be playing a patriotic concert in honor of our nation's birthday. Celebrate your national pride and join us. The original date for the concert was Saturday, July 7, but it had to be rescheduled. Remember, we close early at 5 pm on Tuesday, July 3, and we are closed for the 4th of July. We will reopen at 10 am on Thursday, July 5, 2018. Have a safe and Happy 4th of July. Are you ready for some Rock and Roll? Wait... I don't think that's what I wanted to say. Are you ready to Rock On? Wait... I don't think that's right either. LIBRARIES ROCK! READ ON! That's it! Our 2018 Summer Reading Program is titled "LIBRARIES ROCK" and it begins on Monday, June 4, 2018. Click here to register. Begin earning points every time you read or do different activities. Those points will earn you prizes. You will need to create a user name and password to sign up. If you remember yours from last year you'll be all ready to rock on... wait, I mean READ ON! LIBRARIES ROCK! Green Thumb Gardening will be at the Maud Marks Library on Saturday, May 19, 2018, at 10:30 am. The Master Gardeners of Harris County will be here discussing Insects in Your Garden, which will include the good insects and the bad insects. Spring is here and summer is approaching so our gardens are blooming and producing. Let's keep them healthy by learning how to care for them. Click on this link to Register for the class and join us for an educational and fun discussion. If you have a particular insect you're wondering about, bring it along. 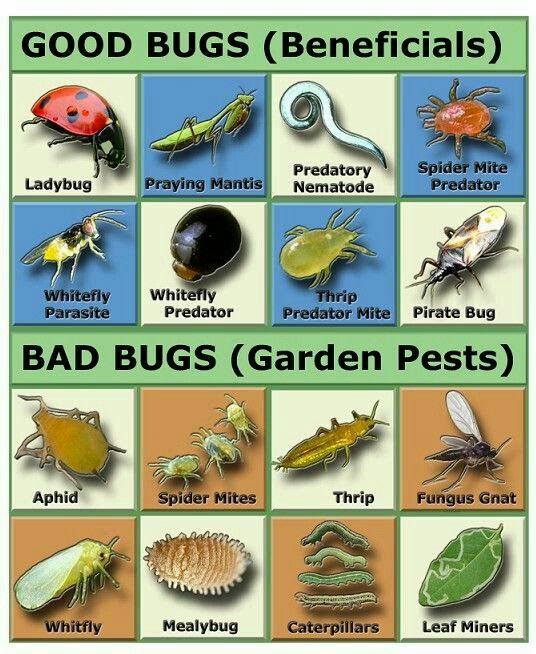 They can help you identify it as a "good" or "bad" insect for your garden.